All around the Earth there are places that look and feel both terrifying and unsettling, quite similar to places that usually haunt our bad dreams. Sometimes they are naturally created to look that way, sometimes they are man-made. They all have one thing in common – you get scared instantly, and the places always give off a disturbing aura that haunts any who visits or lays eyes on the area. 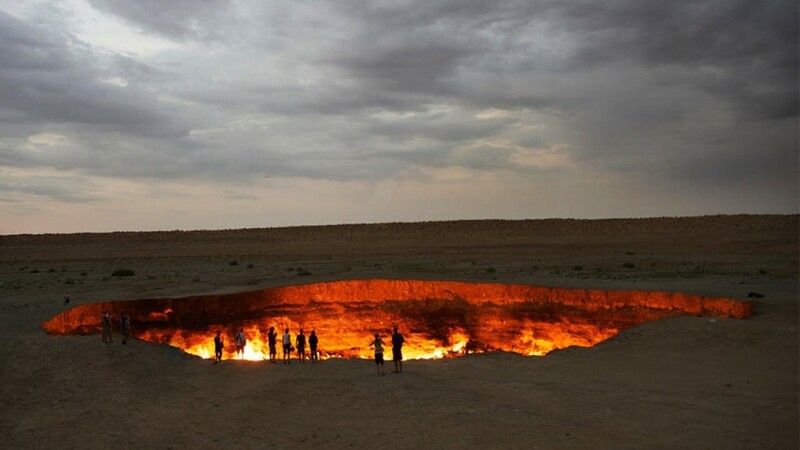 If you’re adventurous, want to go ghost hunting or just really like creepy vacation places, you should definitely visit every single weird scary place from this list. Have you ever had a nightmare where you were swallowed by a sand dune? Or maybe one where you were running but never fast enough to escape, as if you were running in sand? 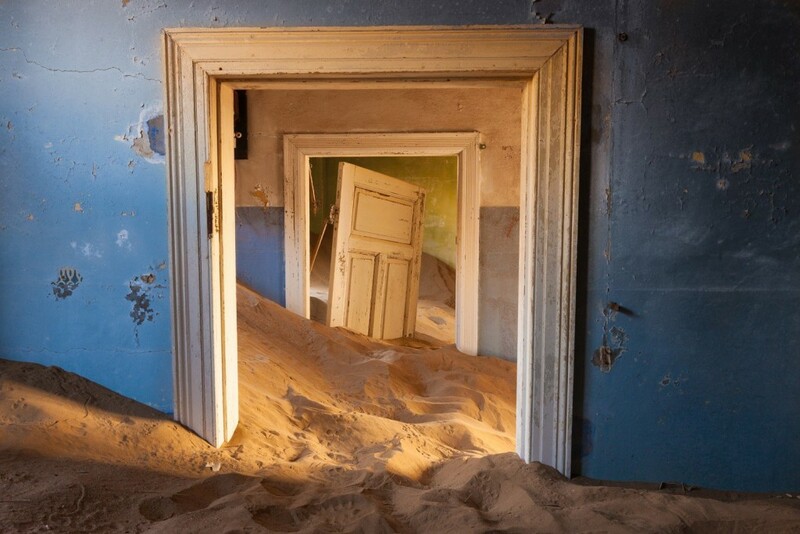 If you’ve already got goosebumps just from reading this, you should definitely stay away from the ghost town of Kolmanskop in the Namib Desert in southern Namibia. In 20th century, the town attracted big amounts of people as there were diamonds discovered in the sand and the price of diamonds was skyrocketing at the time. It was a busy town until the prices of diamonds dropped and people moved away, leaving the town to be swallowed by sand storms. Today the buildings are slowly decaying and the sandstorms have blown sand into the buildings, making it look like the town is drowning in sand. Until 1959, Shicheng was populated by 300,000 people. Then the Xin’an Dam and a hydroelectric plant were built and the whole town was flooded completely. All the buildings, some going back to 1360s, are now sitting intact under 130 feet of water. 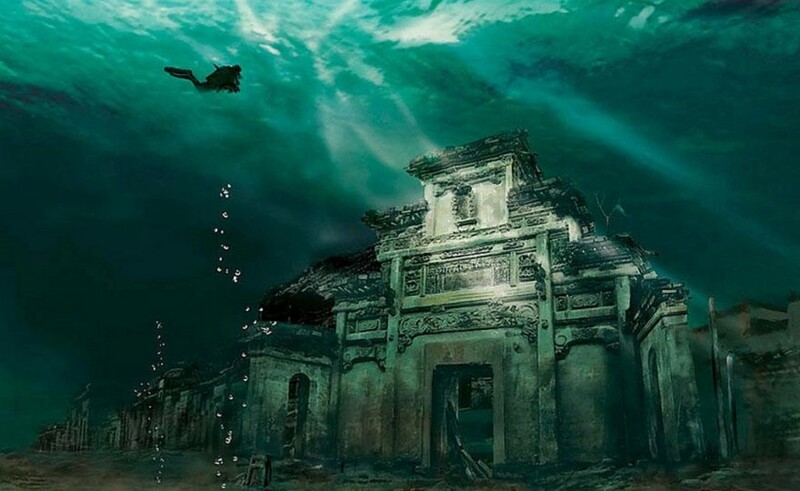 It has been called “Atlantis of the East” with a lot of architecture completely intact, the water shielding it from wind and sun. If you know how to scuba dive, you can explore the city and look at the preserved stonework.